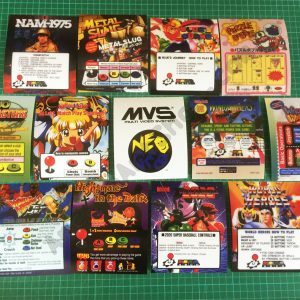 Based in the UK we supply printed reproduction and original arcade cabinet artwork and custom arcade artwork for modern and vintage video games, from 70’s and 80’s classics like Star Wars, Pac-Man, Dig Dug & OutRun, up to 90’s & 00’s games like Sega’s Afterburner, OutRun 2, Daytona USA & Initial-D. We also offer a selection of Japanese Candy Cab artwork for arcade cabinets such as the Taito Egret II, Sega Astro City and Naomi cabinets and have artwork for many UK built machines, such as Electrocoin Goliath & Chase HQ, as well as Atari Ireland/Euro cabs like Dig Dug, Time Pilot and Pole Position II which have different art from their USA versions. 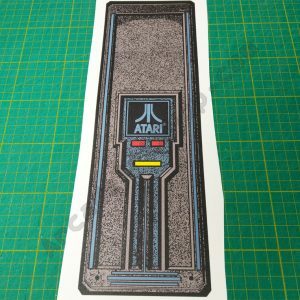 All art is reproduced from either cleaned high resolution scans, or vector artwork. Many of our pieces are exclusive reproductions not available anywhere else. 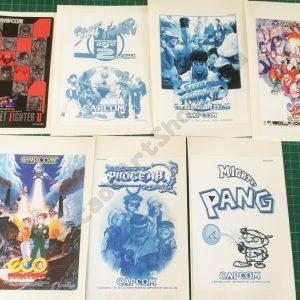 We’ll ship artwork anywhere in the world, and have customers in the USA, Australia, Japan and much of mainland Europe. 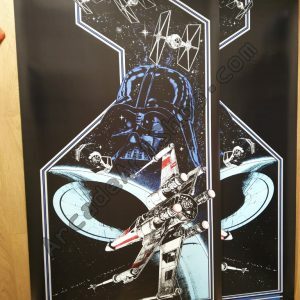 Art is printed on a variety of premium quality materials using a 64″ wide Roland VersaCAMM VS-640i, 8 inks always at highest possible quality settings. 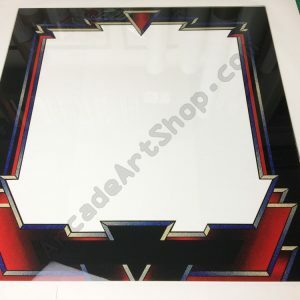 We print to a thick 200 micron premium grade Oracal vinyl (the same as Sega Europe used in the 90’s) for plastic and metal cabinets, and use LG Hausys premium grade high-tack vinyl for control panel overlays and side art. 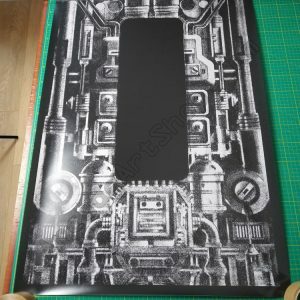 CPO’s come with a textured matte finish to protect your artwork and panel for many years. Flexi marquees are printed on a thick heatproof backlight film, made to look vibrant and bright when lit from behind. 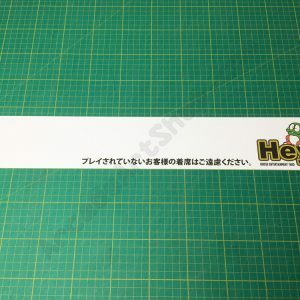 We also print on rigid 5mm foam board for toppers and can have any piece of artwork die-cut to any shape needed. 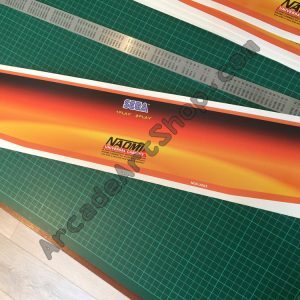 For perspex marquees and bezels we use a Fuji Acuity Select flatbed with UV inks to directly print on to the plexi – no reverse mounted stickers here! We have attempted to replicate original finishes wherever possible, or find the best match we can. 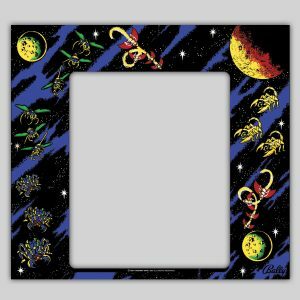 We have a library of literally thousands of pieces of arcade artwork, with new pieces being added all the time – if you can’t see what you’re looking for please do get in touch as we probably have it! 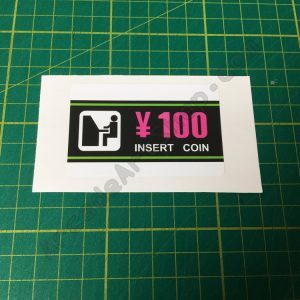 We can also provide custom design work for a fixed fee, drop an email to mail@arcadeartshop.com or via the Contact Us page and we’ll be happy to discuss ideas and costs. 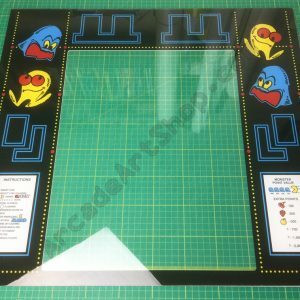 Thanks for visiting Arcade Art Shop. 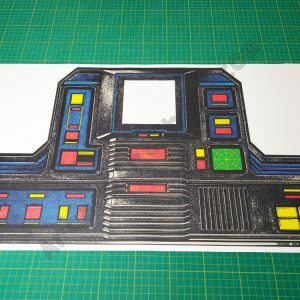 Before and after of my Asteroids Deluxe control panel. Just need to source new buttons and I'm done. Thanks @arcadeartshop - very happy with the cpo.